Brennan Family and Cosmetic Dentistry offers a wide range of services from checkups and cleanings to cosmetic makeovers. We deliver the highest standard of care using the latest technology. Sorry, your device does not support this file type. Preventative dentistry is the foundation of a disease-free mouth. With daily care, proper nutrition, regular cleanings and exams, you can achieve a healthy smile. 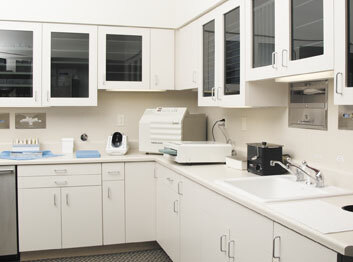 Our caring dental hygienists use the latest technology to remove plaque and tartar comfortably and efficiently. In addition to your cleaning we will provide a thorough examination of your teeth and gums, oral cancer screening and any diagnostic x-rays. We will also show you how to maintain your smile through proper brushing and flossing techniques. 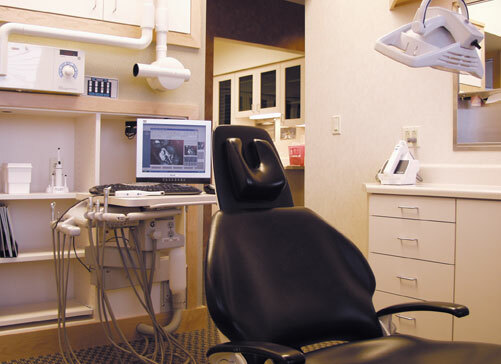 Catching dental disease through preventative care offers more affordable treatment. Our x-rays are taken using a digital x-ray system. With this updated technology, patients are exposed to approximately 90% less radiation than the non-digital method. Digital x-rays allow us to be more efficient and thorough as the images are instantaneous and more clear. We believe in the benefits of preventative sealants and go through the extra steps necessary to ensure a long lasting result. Proper placement prevents any new decay from forming and can last as long as regular fillings. Electric Toothbrushes – Studies have shown that electric toothbrushes are more efficient at removing plaque and gingivitis than a manual toothbrush. To help keep your smile at its best in between cleanings, we carry a variety of electric toothbrushes by Sonicare, Oral B®, and Crest®. MI Paste – MI Paste™ works by strengthening your teeth with calcium, phosphate and fluoride. This versatile product can be used to prevent decay, alleviate sensitivity, relieve dry mouth, and prevent decalcification. in orthodontic patients. Flouridex is an extra strength toothpaste that helps prevent decay, orthodontic decalcification and hypersensitivity. A healthy mouth is more important than ever and depends on healthy gums and supporting bone. Recent studies show that gum disease leads to an increased risk for cardiovascular disease. Gum disease can lead to bad breath, bleeding gums, gum recession, sensitivity and loss of teeth. We offer the latest periodontal treatments to stop gum disease from progressing. This includes special ultrasonic instruments that remove tartar and plaque from below the gum line and medication to kill bacteria that cause gum disease. We will educate you on the proper home care so that, together, we can make your teeth last a lifetime. We use the latest materials, techniques and instruments to ensure your teeth are restored to look natural as well as long lasting and durable. This includes our new digital impression system, iTero. Using iTero™, we take highly accurate digital impressions for your crown, implant or Invisalign case, eliminating uncomfortable trays and putty material. Bonded composite restorations utilize high strength resin to repair the teeth instead of amalgam (silver) fillings. These fillings not only blend to the natural color of your teeth, but are more durable and less invasive than amalgam fillings. Dental implants (Straumann®, Nobel Biocare®) are the answer to lost teeth, replacing the tooth foundation and crown structure of a natural tooth. The implant is placed directly into the jawbone where it forms an anchor simulating the root of a tooth. A restorative crown is than placed, leaving you with the look and feel of a real tooth. Implant crowns preserve natural jaw bone, do not decay and offer a great long term option to replace missing teeth. A crown is a precision crafted permanent covering that encases the tooth surface, restoring it to its original size and shape. A crown protects and strengthens tooth structure that cannot be repaired with fillings or other types of restorations. We offer many crown options to suit your individual needs. Your crown will look and feel just like your other teeth, with custom color matching and precise adjustments to ensure your crown is an excellent fit. If you have teeth that are missing, a removable appliance may be needed that can easily be taken out for cleaning. This will help restore function and lip support to give a natural looking smile. Partial dentures attach to remaining teeth with clasps or clasp-less precision attachments for a sturdy feel and fit. As a full denture does not have teeth to hold it in place, dental implants may be an option to provide a more secure and comfortable fit. No one will ever know you are wearing a denture so you can smile with confidence. Minor oral surgical procedures and extractions can be performed in our office. We will use every measure to prevent tooth loss, although there are some cases where an extraction is the best option. We have many ways available to keep you comfortable before, during and after the procedure. You can look good and feel confident with a beautiful smile achieved through modern cosmetic dentistry. We offer the most up-to-date techniques to help you reach your aesthetic goals. When it comes to options for straightening your teeth we are proud to offer Invisalign. Invisalign® is the cutting edge approach to treatment that can have a great impact on the way you look and feel, at any stage of life. With your removable Invisalign retainers, you can eat foods you enjoy and brush and floss normally for better dental health. You will love the virtually invisible teeth straightening with a smooth and comfortable device that will not irritate your cheeks and gums. We can give you a beautiful smile and free up your busy schedule with office visits every six weeks. Visit Dr. Brennan to see what a dazzling smile can do for you. We offer both in office and take home whitening options. In office whitening can achieve a brighter smile in as little as 1-2 hours. Opalescence Boost is the perfect option for patients that wish to lighten their teeth in a short period of time without the hassle of trays and gels. Take home tray bleaching is also available for those who prefer to whiten at home. Custom trays are made to ensure the effects of the whitening gel. The gel comes in several strengths and treatment generally takes 2-3 weeks. Dramatic improvements in a patients’ smile can be reached in a short time with porcelain veneers. Thin sculpted layers of porcelain are applied to the front of the teeth. They can be used to improve the color and shape of your teeth and lengthen small or misshapen teeth. They can also be used to correct crowding or repair chipped or worn teeth. Veneers virtually become part of your teeth, resisting staining and wear, and blend to give you a natural smile. If your teeth have small gaps, are crooked, short, chipped, stained, decayed or broken, bonding may be able to quickly resolve your problem. A hardened composite resin is sculpted and shaped to your tooth and the new surface is smoothed and polished. The final restoration blends perfectly with your natural teeth. The confidence from your beautiful new smile lasts a lifetime. Do you wake up from a full night of sleep and still feel tired? Are other members of your household losing sleep because of your snoring? Now there is the perfect treatment option for sleep apnea. Oral sleep appliances are placed in the mouth and are worn much like an orthodontic appliance or sports mouth protector. They are worn during sleep to prevent the collapse of the tongue and soft tissues in the back of the throat so airways stay open during sleep. The appliances promote adequate air intake and help to provide normal sleep in people who snore or have sleep apnea. They are an excellent alternative to a C-PAP machine in most cases. Please schedule an appointment to learn more about this exciting treatment option for sleep apnea and snoring. Thank you, Michelle H. R.N. We make mouth guards, or bite splints, to protect your teeth from grinding together, known as bruxism. This condition typically occurs while sleeping and patients may be unaware of the problem. Bruxism can not only damage teeth but can also lead to jaw and neck pain. Mouth guards are also used to help treat temporomandibular joint dysfunction, TMD, also commonly known as TMJ. © 2019 Copyright Brennan Family & Cosmetic Dentistry. Site Development by Allie Design.